Tea chest veneered in harewood with boxwood edging, and tulipwood and kingwood crossbandings. 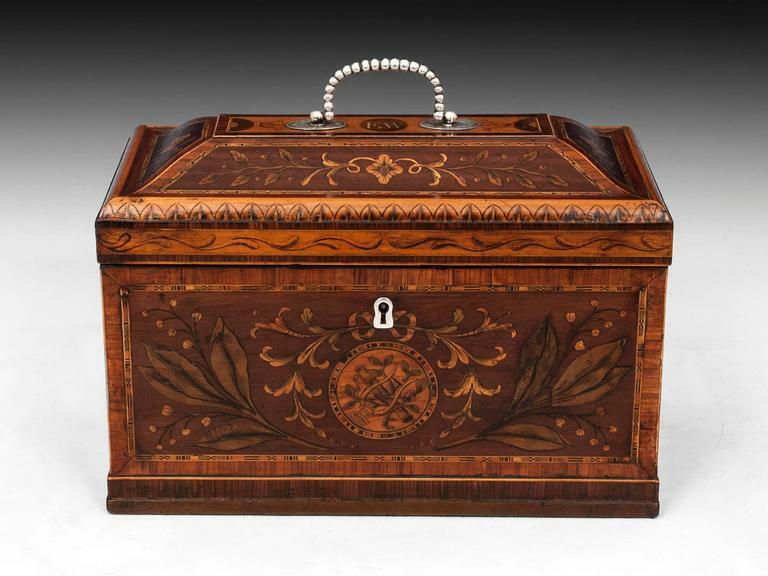 This chest has an array of fabulous stained sycamore inlays with leaves and flowers, which have been engraved and enhanced with penwork decoration. 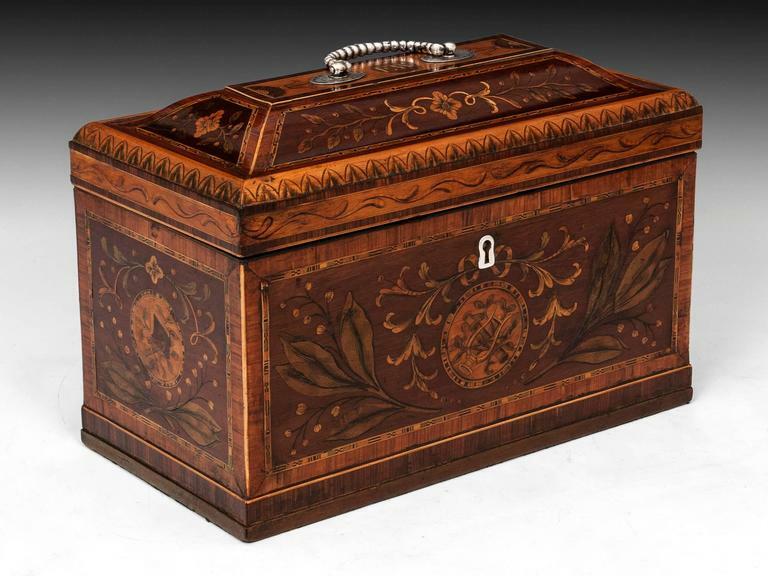 This continues through to the lid of the chest, with further inlaid symmetrical designs. 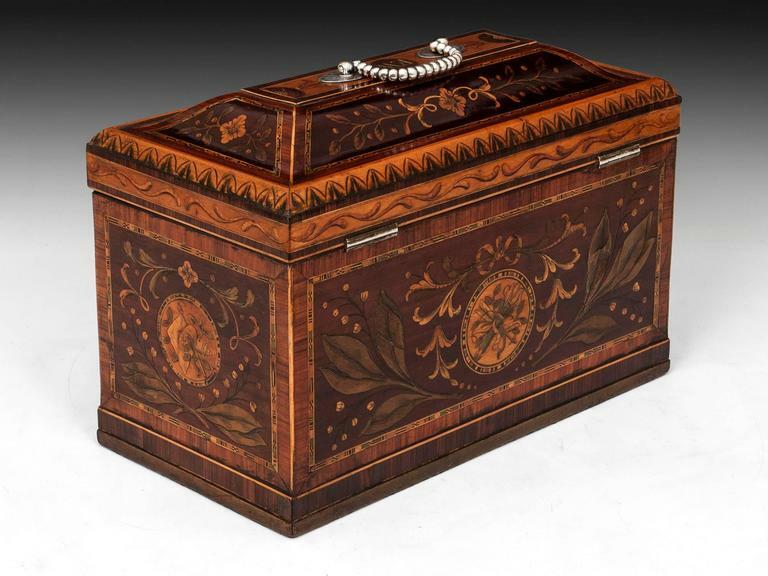 A penwork leaf pattern runs around the satinwood moulded edge. 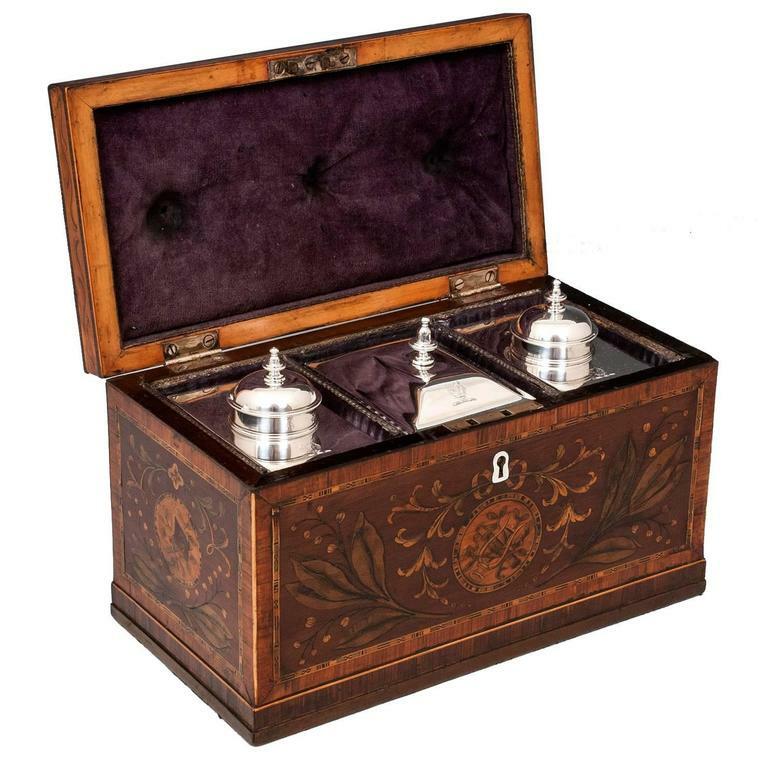 Each of the four sides has a round satinwood medallion inlaid with symbols related to Greek mythological Gods. The front with the musical instruments, the lyre (harp) and floyera (a wind instrument) that relate to Apollo, also known as the Archer, God of music, arts, truth, healing and prophecy. The panels to the right hand side are inlaid with a cannon, flag spear and shield, and relate to Athena, Goddess of arts, war and wisdom. The back features a quiver and arrow, related to Artemis, Goddess of nature, hunting and chastity. And finally, the fourth side, a book, callipers and a straight edge, symbolising Hermes, God of travel, commerce and communication. 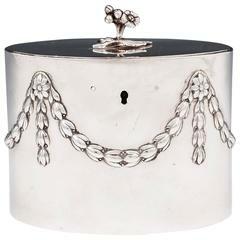 The top has an engraved sterling silver carrying handle, hallmarked London by George Baskerville 1762-1768. 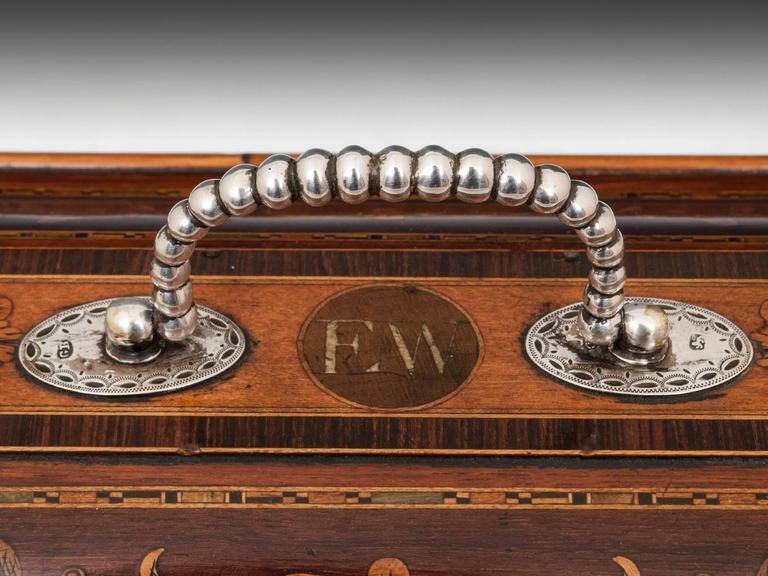 Between the handle at the centre of the lid are the inlaid initials of E.W. On the front is a silver key profile. 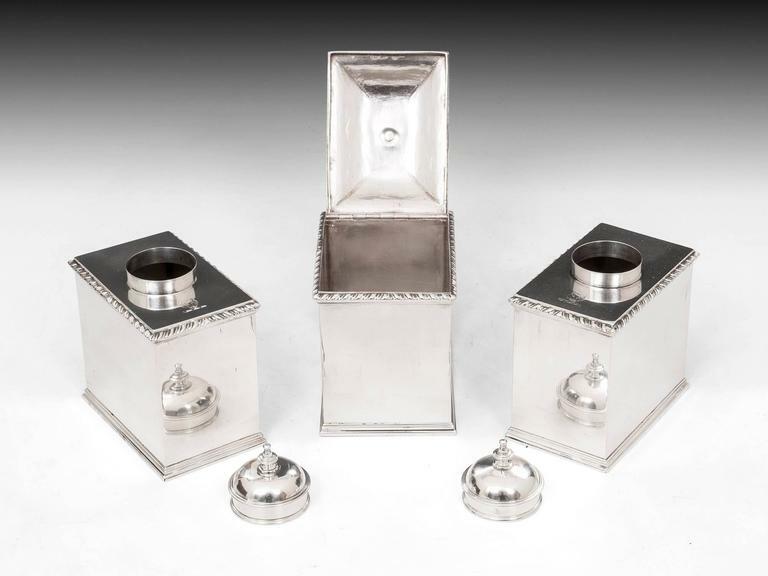 On opening the chest you will see a set of three fabulous Georgian sterling silver caddies, each of plain oblong design with gadrooned borders and moulded plinths. 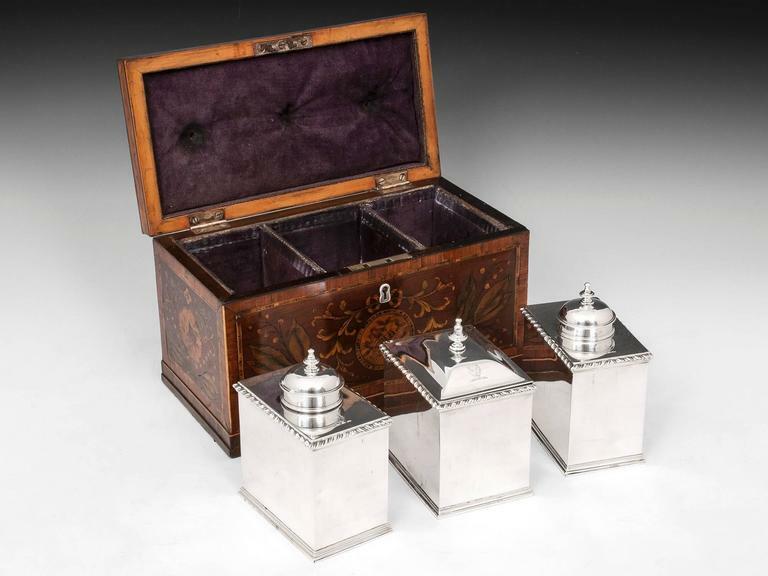 There are two smaller tea caddies (which have detachable domed covers with silver finials and unusual sliding bases, which enable easier cleaning) and the larger caddy is the sugar container, which sits in the middle and has a hinged lid. 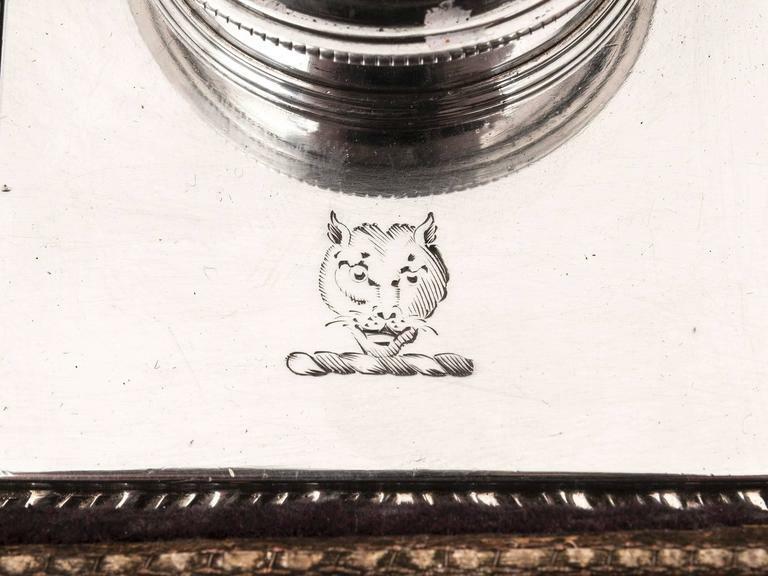 The silver is adorned with engraved panthers and hallmarked by London Silversmiths John Langford II & John Sebille 1766. 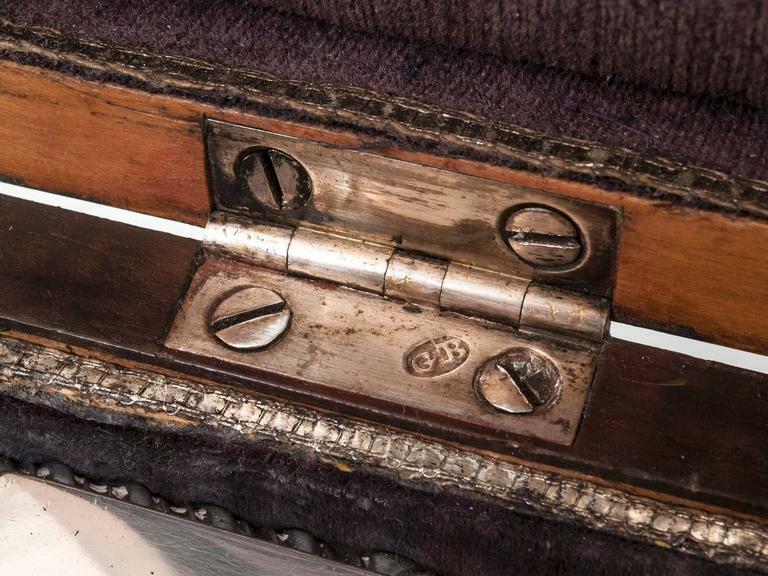 This rare georgian tea chest containing sterling silver caddies has a fully working lock and tasseled key. 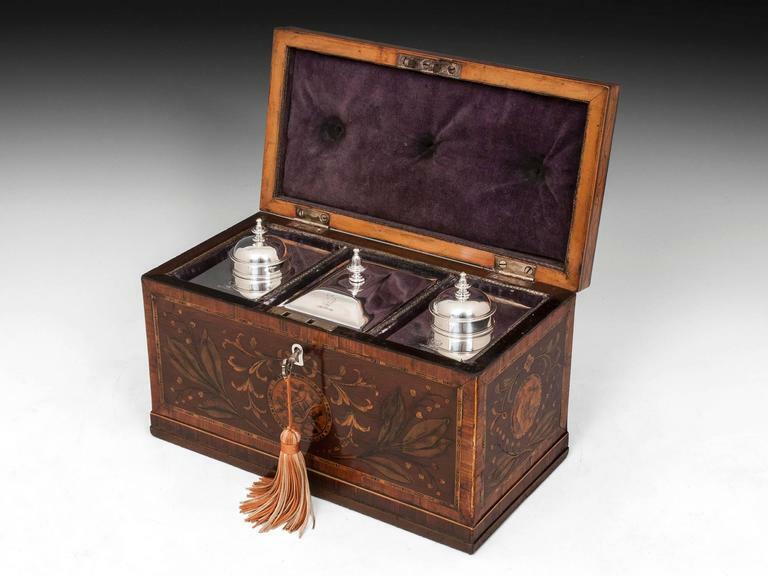 Late 20th century Georgian tea caddy.